In the month of Ramadan, one should not keep fast during any travel in which one’s duty is to offer qasr prayer and should keep fast during travels in which one should offer full (four-rak`ah) prayers, like when they intend to stay at a place for 10 days or if their work requires travelling. It is no problem in travelling during the month of Ramadan, irrespective of whether or not it is done for escaping fasting. Of course, it is better not to travel in this month except for a good or necessary deed. Is it permitted for a person to travel intentionally during the month of Ramadan in order to break the fast and to evade fasting? A: There is no problem in doing that. Therefore, when travelling — even in order to evade the duty of fasting — he must break the fast. Assuming one travels during the month of Ramadan, ought one to pay any kaffārah in addition to observing qaḍā’ fasts? A: No, only the qaḍā’ fasts ought to be observed; there is no kaffārah to pay. However, assuming one delays performing the qaḍā’ fasts until the succeeding month of Ramadan (i.e. does not perform their qaḍā’ before the start of next year’s month of Ramadan), he/she ought to donate one mudd (about 750 gm.) food as a kaffārah, for each missed fast. If a person owes a time-specific fast to keep or qaḍā’ fasts while the time left for making up for them is short, can he go for a travel? And if he is in a travel, should he return home before the month of Ramadan to make up for his missed fasts before the holy month comes? A: There is no problem in his travelling. He is not required either to return home if he is in a travel to keep the said fast/s because — just like in the holy month of Ramadan — the travelling person is not required to fast with no difference between various types of fast. 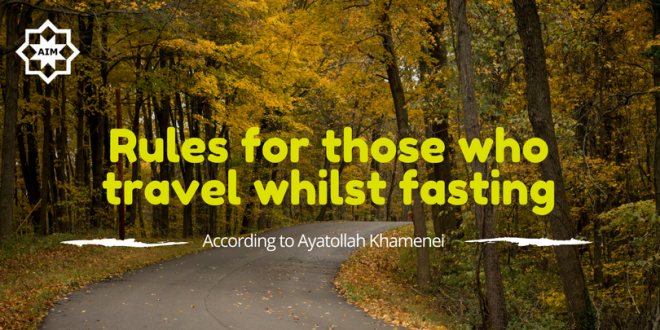 Is it alright to keep qaḍā’ fasts while one is in a travel? A: No, it is impermissible. Can a traveller keep a mustaḥabb fast? 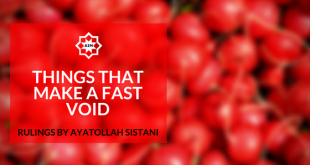 A: No, keeping a mustaḥabb fast while in a travel is impermissible. That said, except for keeping 3 fasts in Madīnah al-Munawwarah for fulfilling one’s request which – according to the mustaḥabb caution – is to be kept on Wednesday, Thursday and Friday. If a student of Islamic studies intends to do propagation of Islam as his job, may he perform his prayers in full and fast while travelling? 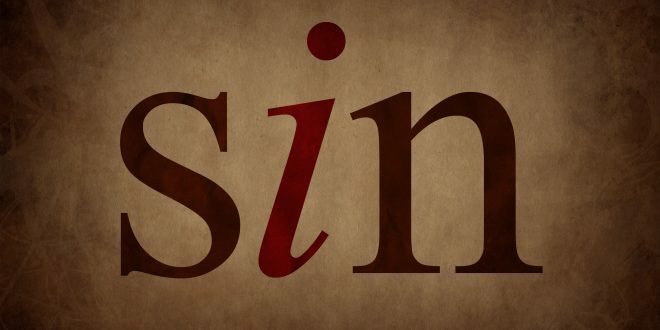 If someone travels for a purpose other than propagating Islam and guidance or enjoining the ma`rūf (good) and forbidding munkar (evil), what will be the rule concerning his prayers and fasting? A: If propagating Islam, guidance, enjoining the ma`rūf and forbidding munkar are considered to be his job, while travelling for that work, his rule is that of others who travel for their jobs. 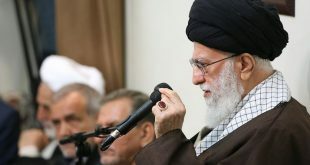 If he occasionally travels for a purpose other than propagating Islam, during such a journey his rule is that of other travellers, namely his prayer must be shortened and his fasting is invalid. Upon traveling to a place where I have it in mind to stay for 10 days if I reach there after ‘noon’, may I continue with fasting that day? A: The fast of that day is invalid. You should reach the place — in which you intend to have a ten-day stay — before ‘noon’ so that you can continue with your fast. A person who is fasting had planned to reach his place of residence before noon adhān. But, along the way he came across an accident that delayed him, hence he did not reach his residency in time. Is his fast valid? Does he have to pay kaffārah or will performing the qaḍā’ be sufficient? A: His fast is invalid while traveling and it is only obligatory for him to perform the qaḍā’ (of fasting) for the day in which he did not reach his place of residency before ‘noon’, and he does not have to pay kaffārah. What is ruling of the fast of somebody who departs from his home in the morning, travels for more than the shar‘ī distance (about 30 km.) and returns before ‘noon’ if he doubts as to whether noon adhān is raised after or before he reaches waṭan? A: If he just doubts that, his fast is in order. A person breaks his fast in his hometown after sunset. Then on travelling to another city, he finds that the sun there has not set yet. What is the rule regarding his fasting? Can he eat and drink in the new place before sunset? A: His fast is valid and he can eat and drink in the new place before sunset provided that he has broken his fast at his hometown at sunset. I am residing abroad. During the month of Ramadan after completing 28 fasts at the residency place, I flew to waṭan in a two-hour flight to discover that the moon of Eid ul-Fitr is visible at waṭan’s horizon at the same night. What is my duty in this situation? A: In the given situation, if upon arrival at your waṭan you come to know that the next day is Eid ul-Fitr there, you should make up for one fast of Ramadan as qaḍā’. An individual started fasting the month of Ramadan at a place where the start of the month was ascertained and travelled before the end of the holy month to a place of a different horizon where Ramadan started one day later. He completes fasting the holy month there. By chance, that year Ramadan was 30 days and therefore the last day of Ramadan at the 2nd place was actually the 31st for him. Should he fast that day or not? A: If one arrives at a place where one day is left to the end of Ramadan, one should fast that day even though it is the 31st fasting day for him. A person fasted from the first day of Ramadan until the twenty-seventh in his waṭan. In the morning of the twenty-eighth day, he traveled to Dubai. Arriving there on the twenty-ninth, he noticed that they had declared that day as the first of Shawwāl and Eid ul-Fitr there. Now that he has returned to his hometown, does he have to make up for the fasts he missed? If he does qaḍā’ of only one day then the month of Ramadan for him will be only twenty-eight days, and if he makes up for two days, then on the 29th day he was present in a place where the Eid was declared. What is the ruling for such a person? A: In the given situation, he should make up for two fasts in qaḍā’. 1- If sun rises while one had the intention to keep a mustaḥabb fast and knows that he should depart for a journey before ‘noon’, can he make a nadhr to fast and keep fasting without his fast being harmed by the travel? 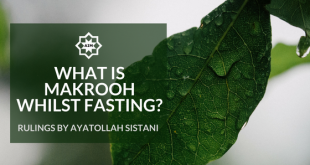 2- If, during the day, one decides to keep a mustaḥabb fast while in a travel, does his making nadhr of fasting and then fasting is enough to consider his fast as valid? 3- For a fast done by nadhr (by Allah on me that I fast this day) is it conditional to make the nadhr before morning adhān or it is valid to make it after morning adhān any time before sunset? A: For a nadhr fast, one should — according to the obligatory caution — make nadhr in one’s waṭan/residency place (not in a travel) and before the morning adhān of the day one wants to fast. Therefore, to make a fasting nadhr during the day for fasting the same day or while in a travel is – by the obligatory caution – invalid. 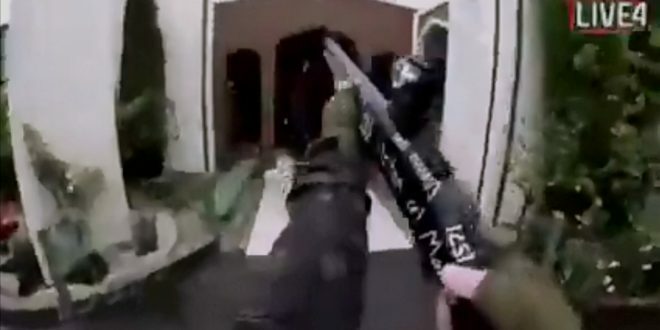 If, before perpetrating any fast invalidator and while in a travel, one makes a nadhr to fast this very day before ‘noon’ (say, at 10:00 am), is his nadhr valid? Or should he make it before departing for the travel and prior to the morning adhān? A: The mustaḥabb fast is valid to be kept in a travel by making a nadhr, provided that one makes the nadhr – by the obligatory caution – at one’s waṭan before departure. Is a person, who is traveling during the month of Ramadan, allowed to make a nadhr to fast? A: No, he is not. Can I keep a nadhr-based fast if I already owe a qaḍā’ one, e.g. to make a nadhr that if Allah makes me visiting the shrine of the Lady Zainab (s.) on the Day of `Arafah, I will fast that day? Since at that time I will be a traveler and I owe a qaḍā’ fast as well, is such a nadhr valid? A: If you make the nadhr at your waṭan that on a certain day you will keep a fast while in a travel, the said nadhr and nadhr-based fast are both correct even though you owe qaḍā’ of an obligatory fast.